The Mammut Togir Women’s Harness is a lightweight and sporty climbing harness that’s ideal for sport, multi-pitch, mixed and ice climbing, thanks to its flat, movement focused design. The Mammut Togir Women’s Harness features Mammut’s Split Webbing Technology for superior comfort and weight distribution, and a bulk-reducing laminating process provides optimum freedom of movement. 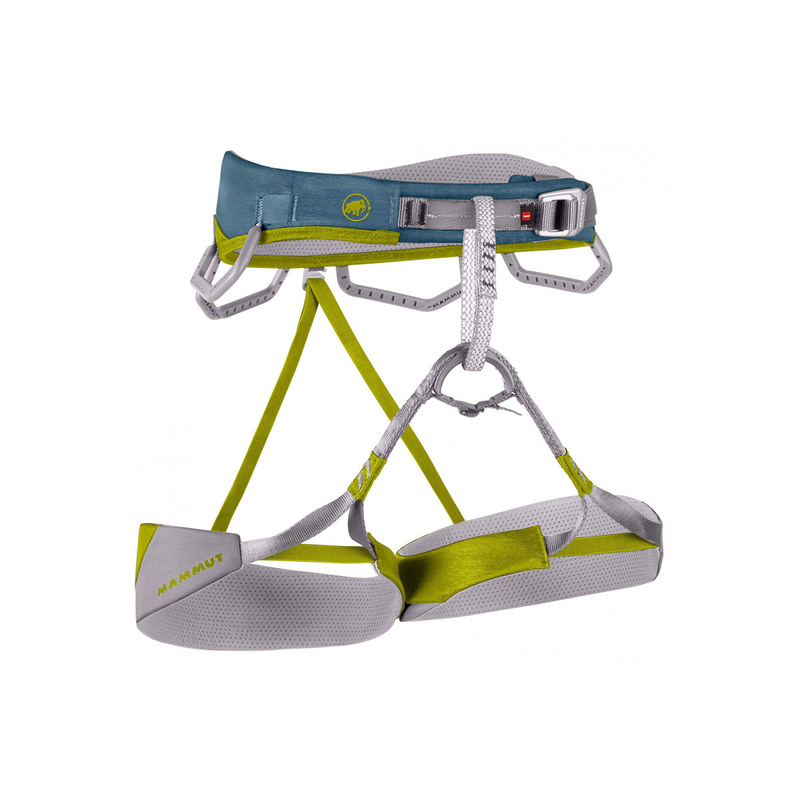 This versatile piece of kit has four gear loops and space for four ice screw carabiners, making it incredibly handy too, and ideal for anyone looking for a comfortable and lightweight do-it-all harness. Mammut’s Split Webbing Technology has been a game-changer in the harness world, comfort- and performance-wise. Split Webbing Technology uses two different strands of webbing in the waistbelt of the harness (as opposed to the traditional one), which are ergonomically designed to fit over and under your hips. The result is better ventilation, less padding, less weight and more comfort, without sacrificing safety. All my climbing life, I have been devoted to Black Diamond harnesses and after 10 years, this is the first time for me to choose another brand. I was skeptic at first, but now I love my new harness :) It's very light, I almost can't feel it. I project routes, so I fall and hang a lot and it's proven to be as comfy as it gets. Same when I play sandbag for my partner ;) The only downside is the placement and shape of gear loops...when climbing overhangs, quick draws tend to slide very far back and are not so easy to reach.